New York, NY (April 9, 2018) – Valiant Entertainment is proud to announce, that, as of April 5th, it has added celebrated comics professional Joe Illidge as Executive Editor. 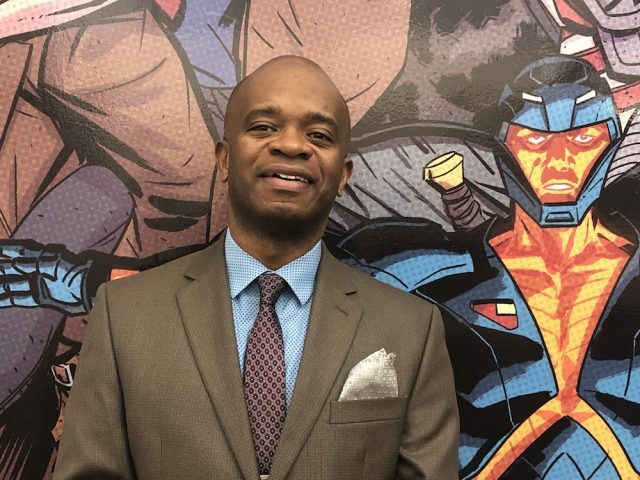 Illidge will work closely with Editor-in-Chief Warren Simons as they spearhead the publishing plan of Valiant moving forward, including continuing work on critically acclaimed titles like SHADOWMAN, X-O MANOWAR, BLOODSHOT SALVATION, NINJA-K, and QUANTUM AND WOODY! ; the upcoming, hotly anticipated HARBINGER WARS 2 crossover event; 2019’s revelatory, prestige series, THE LIFE AND DEATH OF TOYO HARADA; and more, yet-to-be-announced projects.